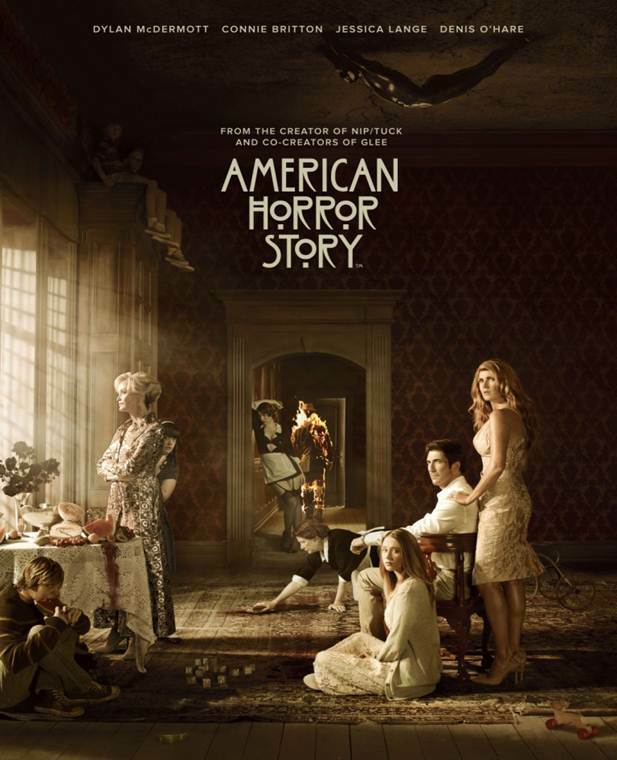 American Horror Story - Season 1 - Full Cast Poster. . HD Wallpaper and background images in the American Horror Story club tagged: american horror story season 1 cast poster. This American Horror Story photo might contain abay na babae, abay sa kasal, sign, poster, teksto, pisara, kalye, lungsod tanawin, and urban na setting.